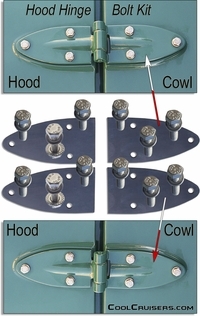 Toyota Hood Cowl Hinge, 1 ea. Hinge - Hood Screw Kit - 79 - 84 - Hex Bolt - Stainless - 6ea. 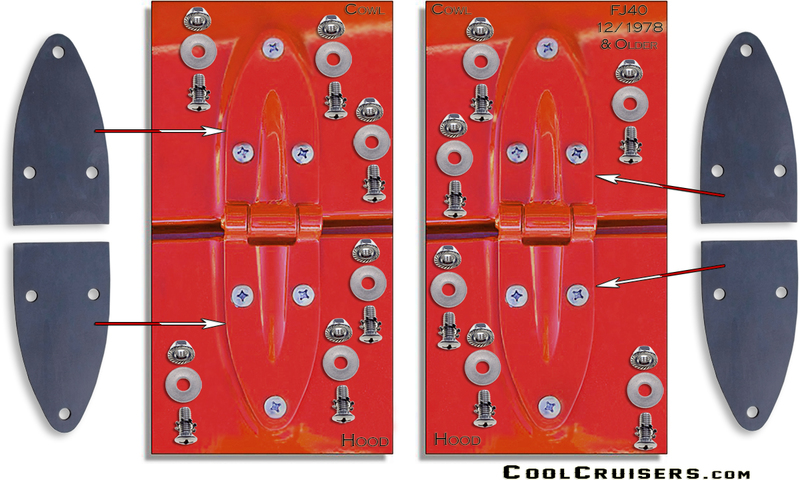 It requires 6 bolt sets (pictured) to attach 1 front hood hinge. 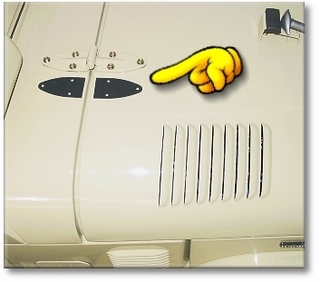 Land Cruiser Hood Cowl Hinge Gasket and Stainless Steel Bolt Kit. 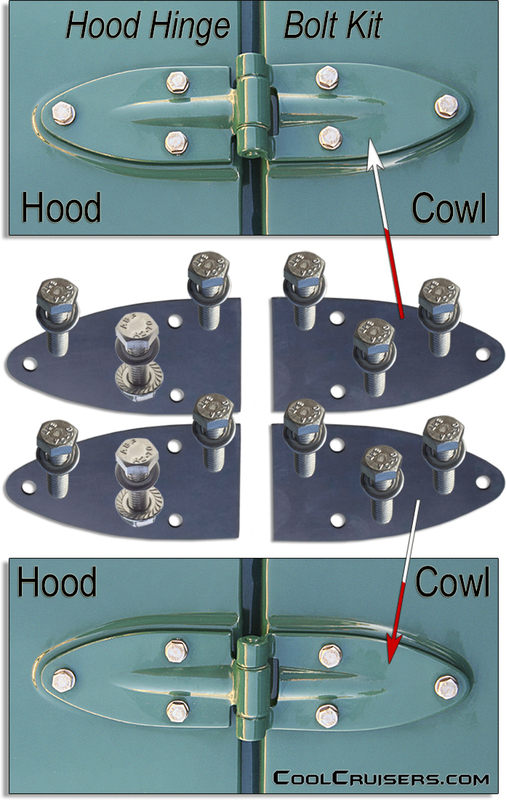 One kit does both hood to cowl hinges - both sides. Complete kit for the job. 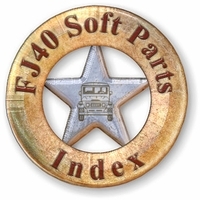 Fits: FJ40 FJ45 BJ40 BJ45. Fits: Land Cruiser FJ and BJ Series. Hinge - Hood Screw Kit - 78 & Older - Phillips - Stainless - 6ea. One kit does one hinge as pictured left. Fits Right or Left - "Not Handed"